Great differences exist among spiders concerning the ways in which they capture their prey. 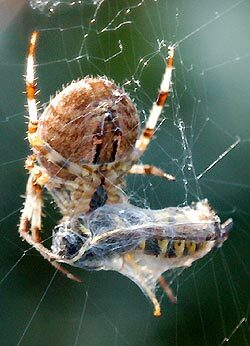 While some spiders stalk their prey and others ambush it, most spiders trap their prey by snares and a few live by eating the prey captured by other spiders (these are called kleptoparasites). Spiders paralyze their prey by injecting poison secreted by a pair of venom glands in the chelicerae (front jaws). The ducts from these glands open on each side through a minute pore located near the tip of the fang. 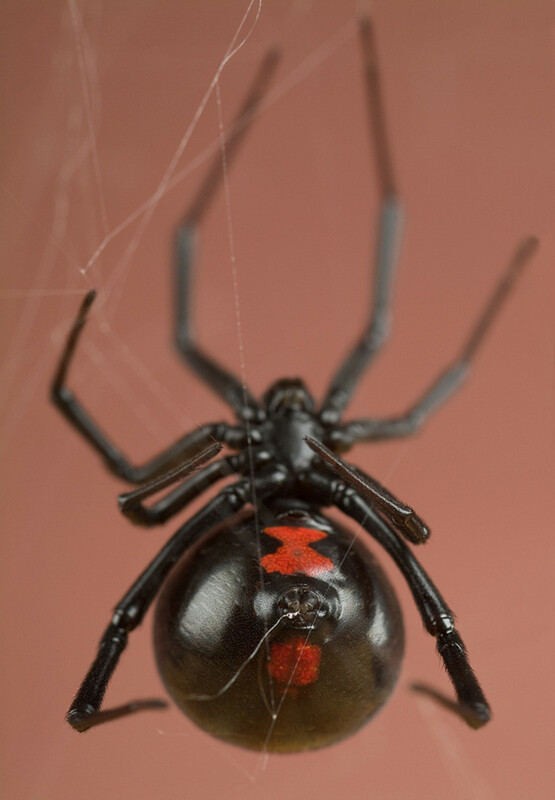 Prey catching strategies have been thoroughly studied in web-building spiders. For instance, the sheet web spider (family Agelenidae) hides in its funnel-shaped web and rushes out only when the prey has been trapped in the web. Members of the family Linyphiidae construct a horizontal sheet web with vertical threads that serve as trapping lines for insects. Once the prey is trapped by the threads, the spider shakes the web until the victim falls onto the sheet, then bites through the web and pulls down the victim. Some web-building spiders produce threads with glue droplets that trap and glue insects to the broken threads. The insects become progressively more entangled while attempting to escape. 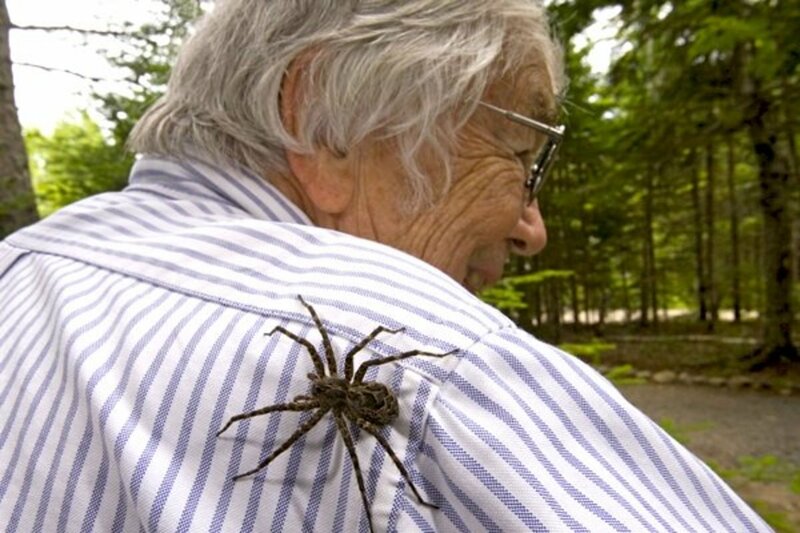 The alerted spider quickly climbs down and throws more sticky threads over the victims before biting them. Some orb weaving spiders bite prey caught in the web, then wrap the prey in silk; others throw silk over the prey first to subdue it, and then bite through the silken shroud. The wandering spiders do not rely on snares. Most locate and overpower their prey directly. 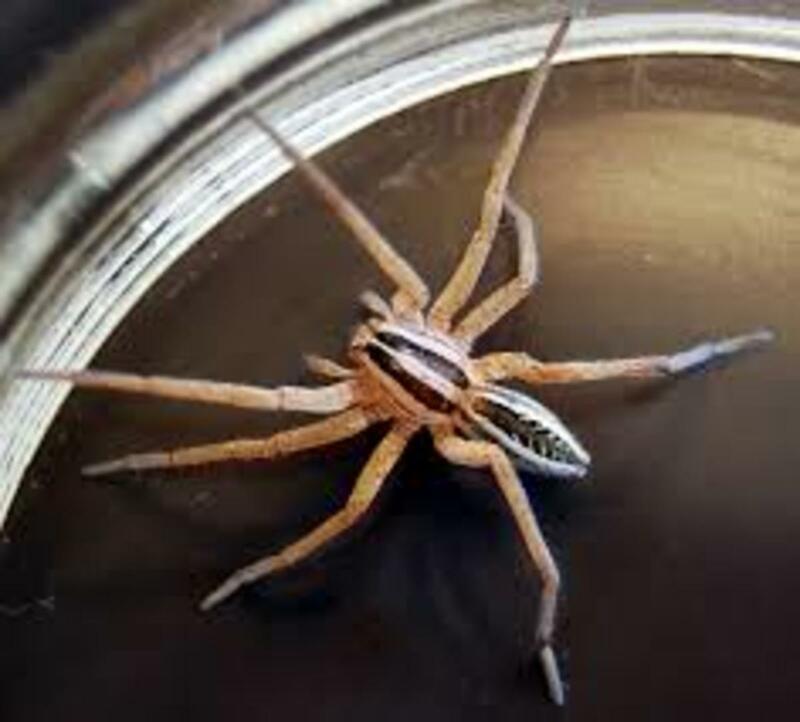 Among the more familiar examples of wandering spiders are the wolf spiders (Lycosidae), the jumping spiders (Salticidae), most of the crab spiders (Tomisidae), and the two-clawed foliage spiders (Clubionidae, Anyphaenidae). These spiders run in search of their prey and pounce upon it when an opportunity arises. 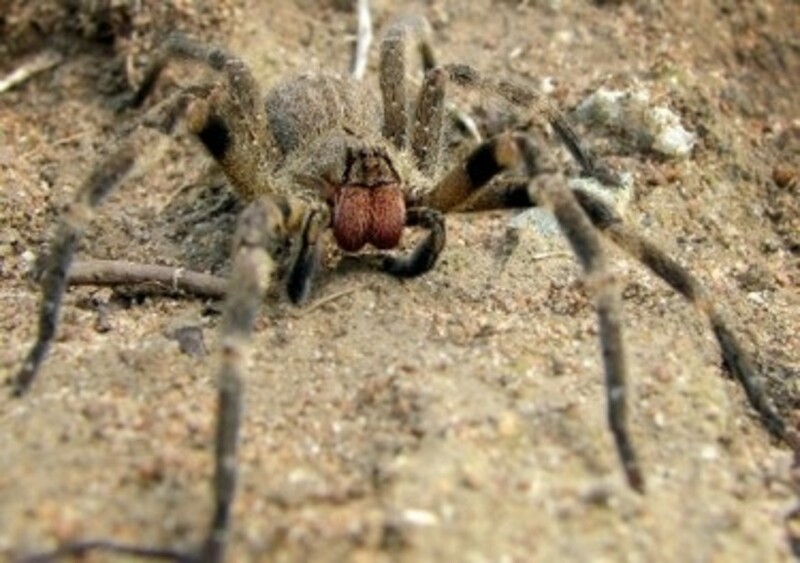 Wandering spiders, exemplified by lycosids or wolf spiders, actively hunt for their prey. Wandering spiders spend some of their time stationary adopting a sit and wait strategy. An example of a big spider overpowering prey is below, in a video with a huge Goliath Birdeater spider which eats a small mouse. Wandering spiders catch their prey in a different manner than web-builders. First, they locate the prey. Then they turn toward the victim and grasp it with the tips of the front legs, pulling it to the chelicerae and then biting (venom injection). Next, they release their grasp with the legs and hold the prey with the chelicerae instead, fastening some silk thread over the immobilized victim, and then commence feeding. Wandering spiders may locate their prey either by visual cues or by vibration, depending on the species. 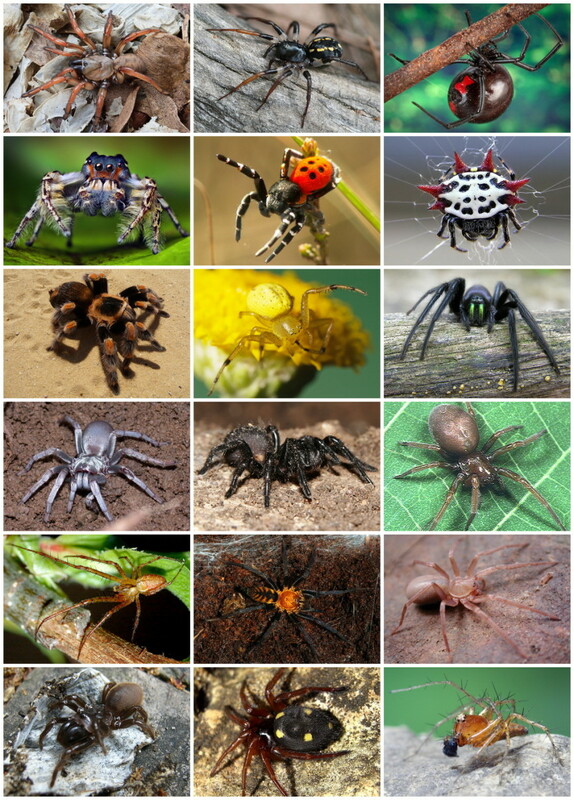 Classical examples of visually guided predators are the jumping spiders. 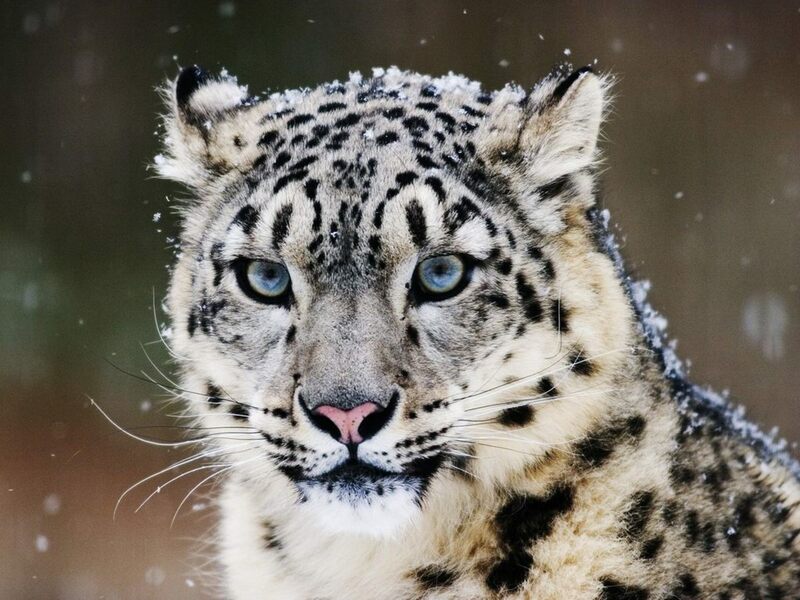 They have highly developed main eyes that can analyze shapes, and can even recognize motionless prey. 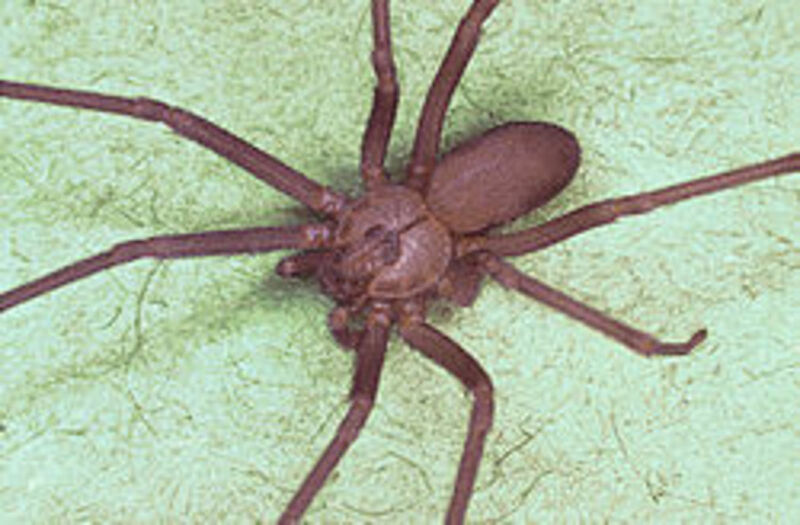 Spiders with poor eyesight, like the clubionids and related species, rely on the vibration of the substrate, or immediate contact with a victim to elicit direct catching movements.